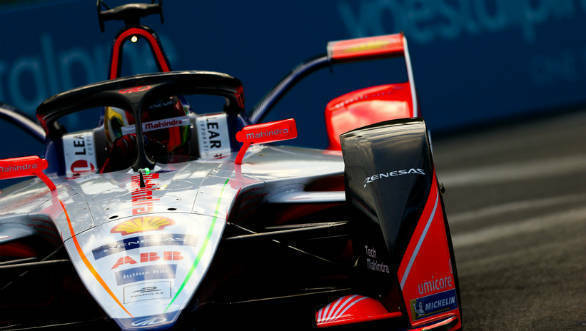 An action packed Rome E-Prix, the seventh round of the FIA Formula E Championship, saw Mahindra Racing regain a strong position in the all-electric racing series. Jerome D'Ambrosio regained the top spot in the driver's championship standings while Mahindra Racing grabbed third spot in the team rankings. Qualifying wasn't the best for D'Ambrosio - he started the race in 19th place having to deal with a cold track. 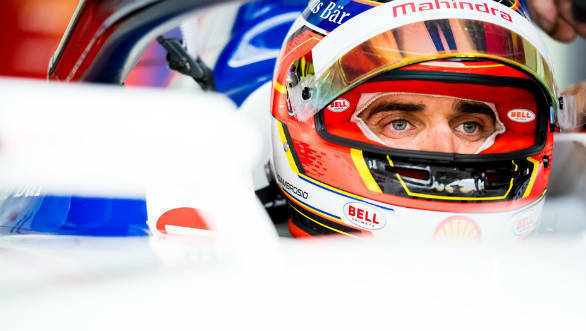 His teammate Pascal Wehrlein fared better, he initially qualified tenth but a post-session grid penalty for speeding under a red flag dropped him to 14th. The race started following a slight downpour and by the first lap, D'Ambrosio and Wehrlein found themselves at 18th and 15th respectively. But Jose Maria Lopez, Jean-Eric Vergne and Gary Paffett were involved in an incident after this and a 45-minute red flag put a hold on proceedings. At the restart, Wehrlein and D'Ambrosio began on 15th and 17th and set about working their way up the order. Eventually, with a few more quick overtakes, with ten minutes left to go, and Jean-Eric Vergne being handed a drive-through penalty with two minutes to spare, D'Ambrosio and Wehrlein were classified in the points in eighth and tenth. Speaking of the race, D'Ambrosio said, "It's been a challenging day but it's good to be leading again! It's super tight and competitive out there but, at the moment, with us always having to qualify in group 1, we are at a disadvantage. This means when we should be fighting for a podium with the pace we have, instead we're fighting for a few points. I think we had a good strategy but you find yourself racing with guys that shouldn't be at the front because of the qualifying format. For the fans it's entertaining, but it's sometimes frustrating for us this season. We have to take the positives that we kept it clean and scored again and we have to keep extracting the maximum out of every weekend." The next Formula E race will be held in Paris on Saturday, April 27.